New LIMRA Secure Retirement Institute (LIMRA SRI) announces its annuity sales forecast for the next five years. LIMRA SRI predicts fixed annuities will remain in the spotlight. Specifically, LIMRA SRI analysis of sales and market trends suggests indexed annuities are positioned for significant growth, while the market share for variable annuities will continue to erode. LIMRA SRI's midpoint forecast for overall annuity sales is about 5% in 2019. The increase will be primarily driven by indexed and fixed-rate annuity sales, offsetting declines in the variable annuity (VA) market. Looking ahead to 2023, LIMRA SRI predicts overall annuity sales could exceed $280 billion. However, significant uncertainty around the regulatory and political environments could undercut the sales prediction. Overall fixed annuity sales midpoint growth forecast is 11% in 2019, with indexed and fixed-rate deferred annuities driving that growth. Indexed annuity sales had a great 2018, ending at $69.6 billion and LIMRA SRI predicts sales will continue to grow in 2019. 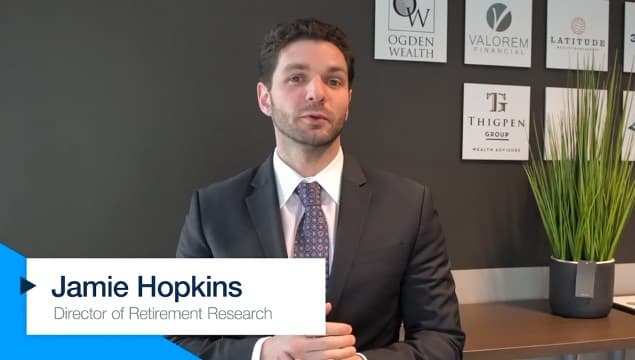 The equity market and interest rate environments are expected to remain volatile for the first part of the year, with interest rates expected to slowly rise. LIMRA SRI expects indexed annuity sales to have double-digit growth, reaching $78-83 billion in 2019. As interest rates remain attractive, LIMRA SRI predicts fixed-rate deferred sales will also rise to a midpoint of around 8%. LIMRA SRI expects fixed-rate deferred annuity sales to be $47-$52 billion in 2019. Looking ahead to 2023, fixed annuity sales will benefit from a favorable equity market and level interest rates. Total fixed annuity sales could reach as much as $174 billion by 2023, according to LIMRA SRI analysis. LIMRA SRI forecasts the majority of the fixed annuity growth in 2023 to be drive by indexed and fixed-rate deferred annuity sales, which are expected to reach $91-$96 billion and $57-$62 billion in 2023. "The volatility in the equity market may have investors looking to lock in their gains and provide a layer of protection for the portfolios. That, combined with rising interest rates, is the perfect recipe for growth for indexed and fixed-rate deferred annuities," said Todd Giesing, director, Annuity Research, LIMRA SRI. "As we look out three to five years we anticipate an increased velocity of money in motion due to a fairly flat yield curve, will drive fixed-rate deferred sales to reach $57-$62 billion in 2023," Giesing noted. In 2019, VA sales are expected to drop remain flat or decline slightly totaling $95-$100 billion. Increased market volatility will deter interest in equity-based products. Based on economic forecasts, the market isn't expected to rebound back to their 2018 peaks until 2022. LIMRA SRI expects consumers' interest in products with principal protection or income guarantees to rise during periods of market volatility. In 2023, LIMRA SRI predicts slight growth in VA sales to $105-$110 billion. LIMRA SRI analysis suggests fee-based products will likely be a larger component than it is today, while deferred VA product sales will remain stagnant or slightly retreat. "The overall annuity market will thrive in an aging population. The number of people reaching age 65 or older will reach 60 million by 2023 - the target market for individual annuity products," said Giesing. "Advances in technology will also contribute to the annuity market growth, improving the speed and ease of annuity transactions and attracting a broader group of advisors. Annuity sellers that adopt or adapt to these technologies will prosper in the coming years."